Forgot Password to Restore iPhone from Backup, What Can I do? What is Password to Restore iPhone Backup? "Need the password that is required to restore iPhone from backup, but I forgot it. Who can help me?" You may be distressed when you forgot the password to restore iPhone backup. What password is needed to back up iPhone with iTunes? This password is so-called iTunes backup password. When you back up your iPhone X/8/8 Plus/7/7 Plus/6s/6s Plus/6/5s/5c/5/4S/4 in iTunes, you may choose to encrypt the backup files. 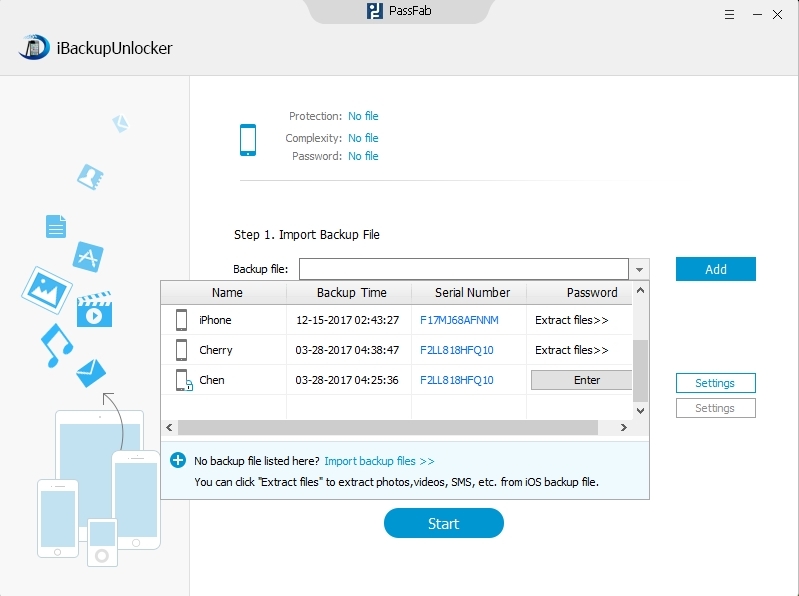 Then if you want to restore from the backup afterwards, you are prompted to enter this password to restore iPhone backup files. 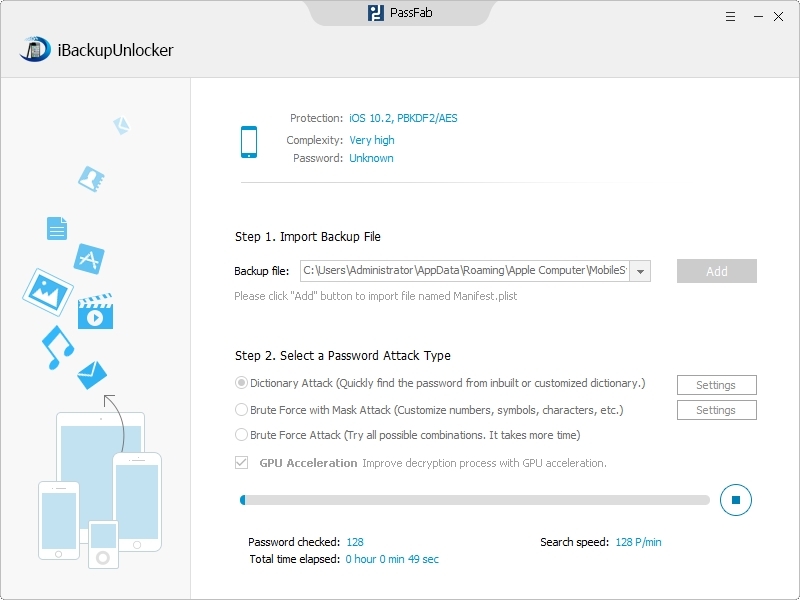 When need this Password to Restore iPhone Backup? After you have encrypted the iPhone backup files, you must enter this password every time you choose to restore from backup. If you forgot this password to restore iPhone backup file, you can still back up and use this device. However, you will not be able to restore the encrypted backup files. 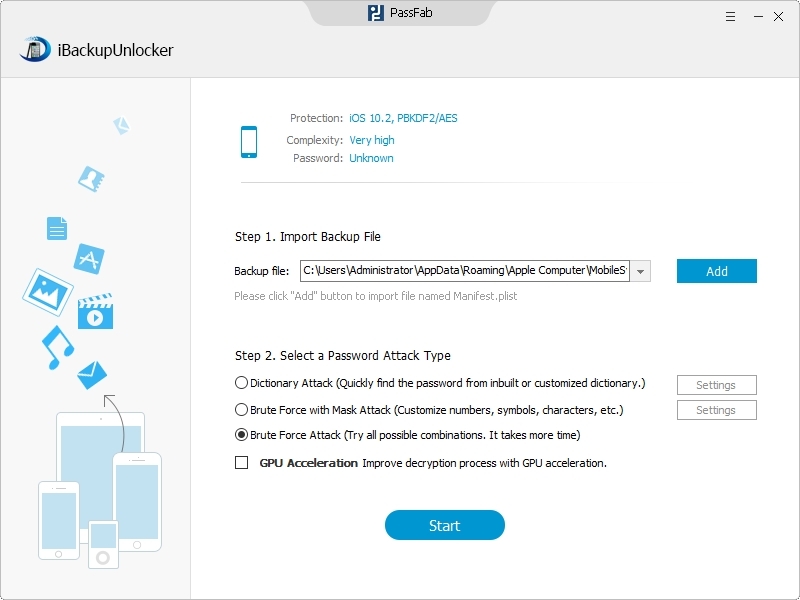 The only thing you can do is to apply for iTunes Backup Password Recovery tool, which allows you to recover the password to unlock iPhone backup with only a few clicks. 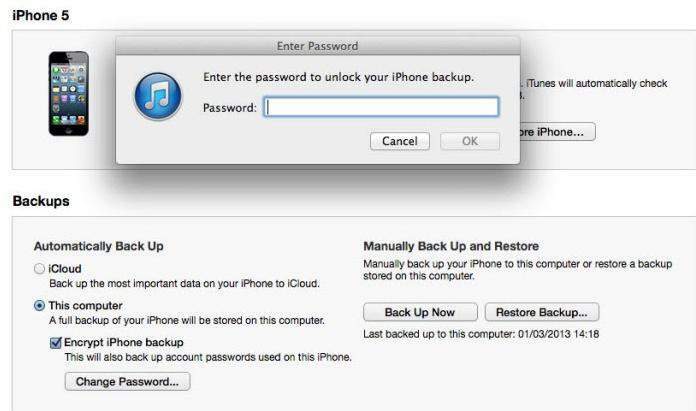 How to Use iTunes Backup Password Recovery to Unlock iPhone Backup File? Step 1. Run iTunes Backup Password Recovery. Click "Open" and the file you want to recover will be displayed automatically. Step 3. Start to get back the password to restore iPhone backup file. Then you can enter your password to restore iPhone backup. Or you change the password to encrypt the backup file. But make sure you will keep it in your mind firmly this time. How to prevent forgetting iPhone backup password? 1. Write down your password to restore iPhone backup in iTunes on a post-it so you can view it when you forget it. 2. You can take the most effective way. 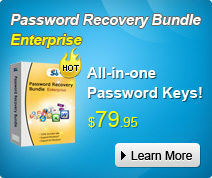 To use a password manager tool to help you remember and replay all your complex passwords. For all, you get to know how to restore iPhone 5/4S/4 from backup without password with iTunes Backup Password Recovery. Try to enter your password to restore iPhone backup in Windows.